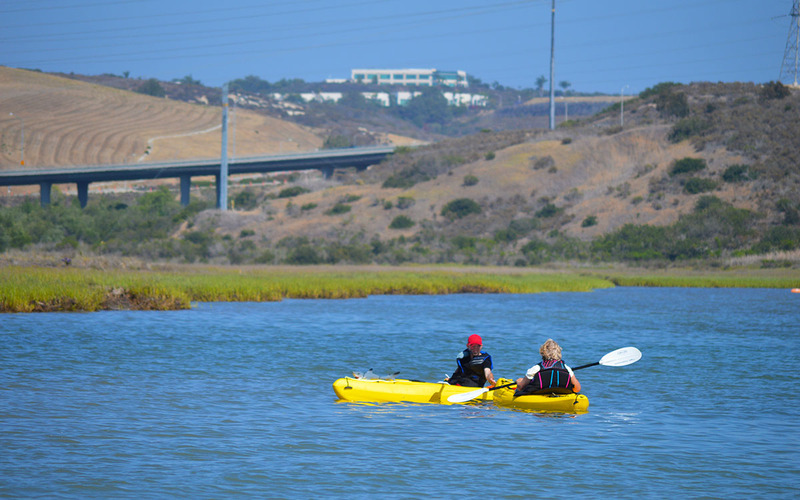 Aqua Hedionda Lagoon is one of 3 lagoons in Carlsbad. Known just as the lagoon by locals, this lagoon spans on either side of the I-5. 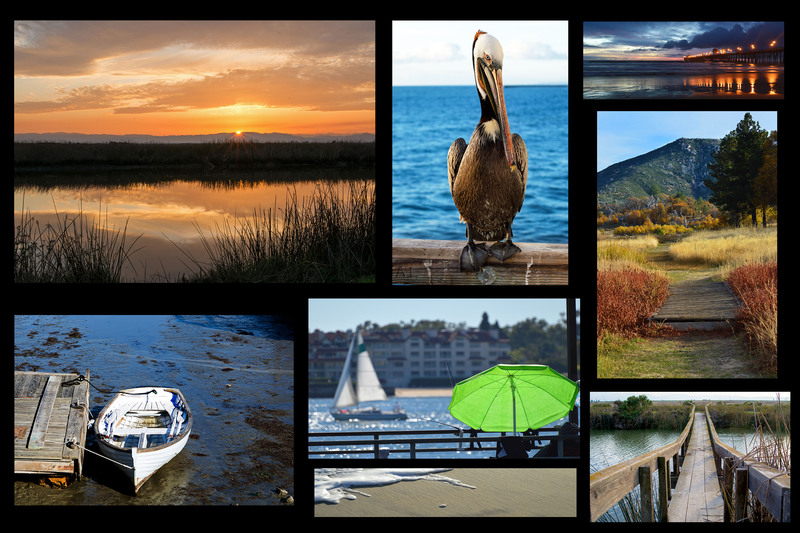 The inland side of the lagoon is home to the small marina aptly named Snug Harbor. 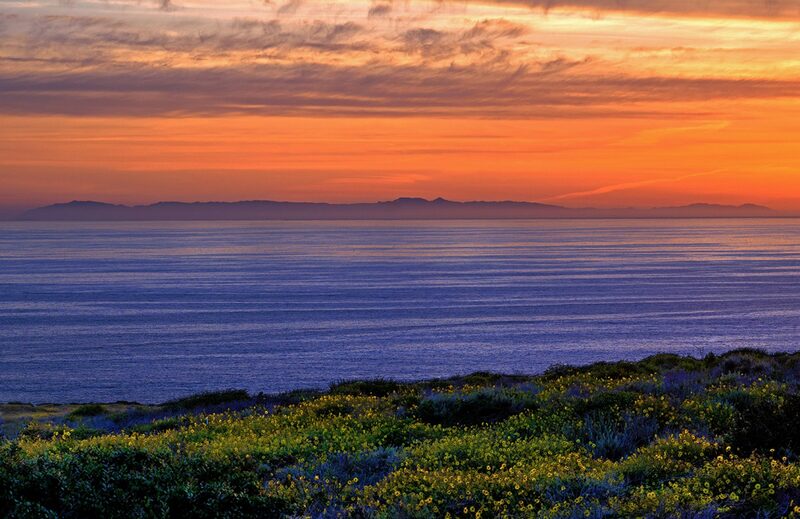 Snug Harbor is located between Tamarack and Cannon road off Interstate 5. 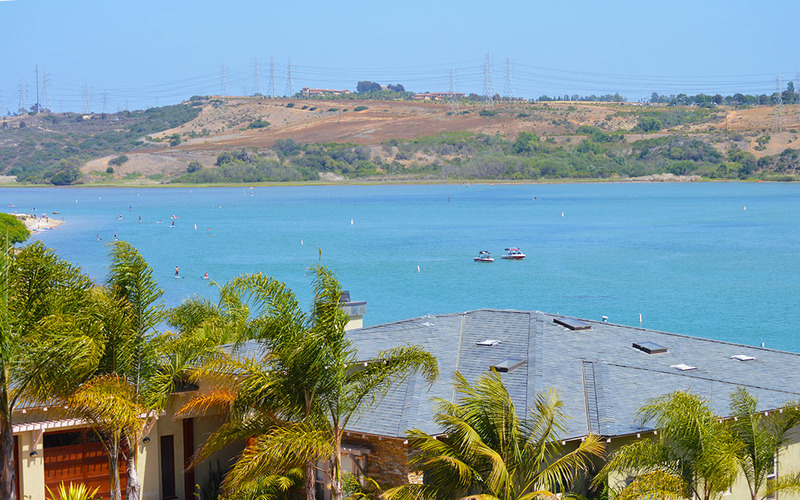 The inland part of the lagoon is where you can boat, water ski, wake board, use your personal watercraft, sail, windsurf or fish. 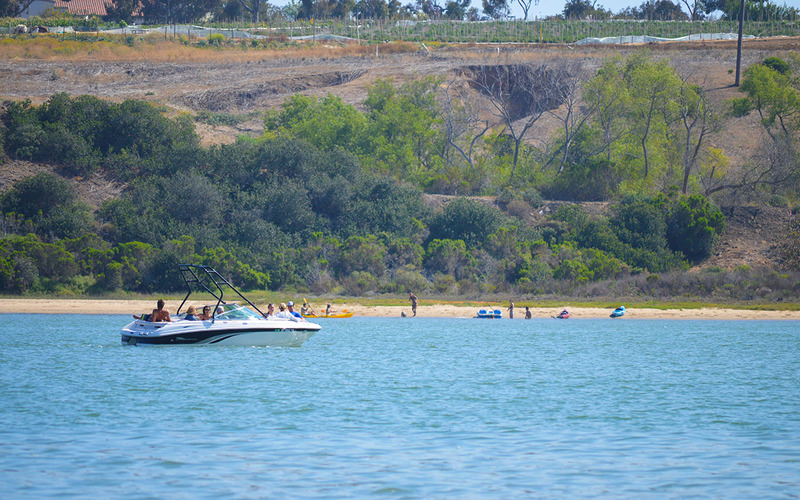 In order to operate any vessel on the lagoon, visitorsand residents must meet certain requirements and purchase either an annual or daily permit. Read about lagoon rules. The Snug Harbor Marina features a boat ramp, dock, snack bar, and a beach. 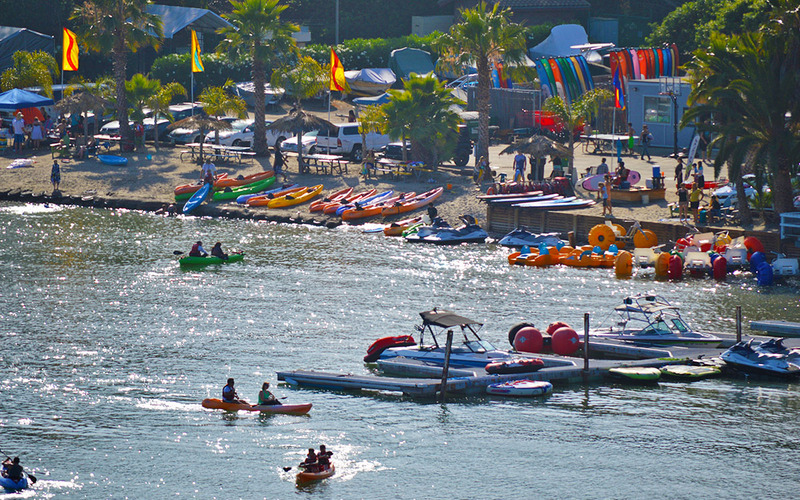 The privately owned California Water Sports rents water sports equipment and vehicles at the harbor. 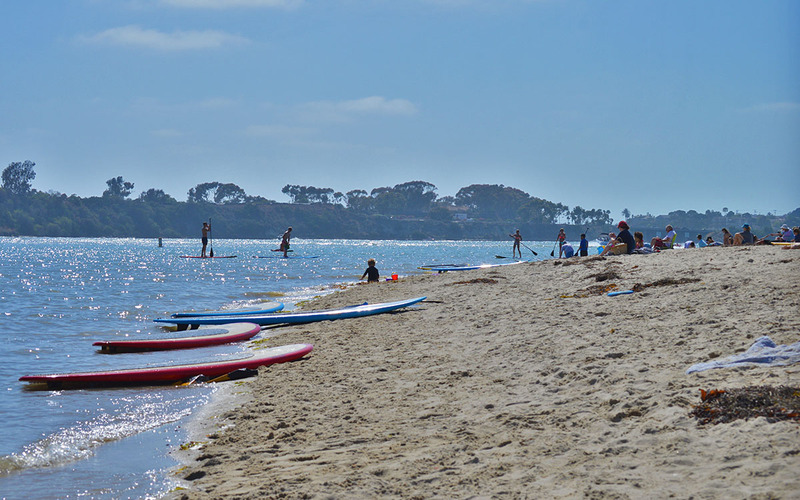 As far as I can tell the back part of the lagoon has a cut off area where the speed boats have to stay away from allowing a calmer area for stand up paddle boards and kayaks. 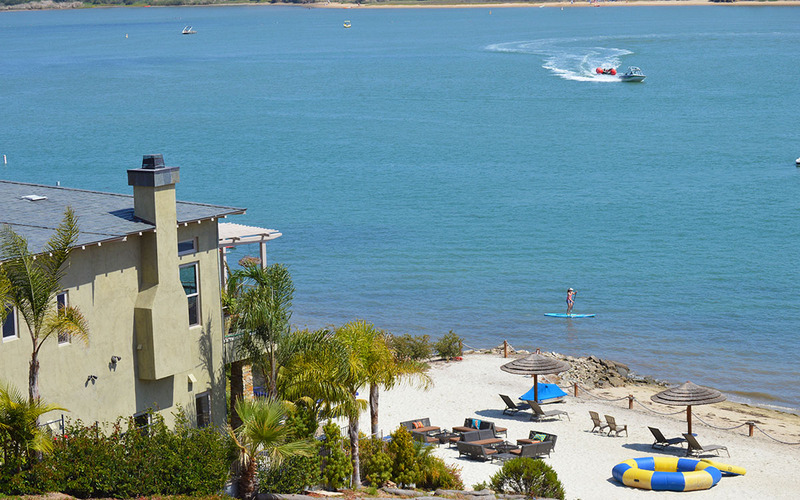 The lagoon is a great place to play in the water with your boat and personal watercraft. I have been there quite a few times and besides playing in the water myself, it is always fun to sit back and watch the screaming kids(and some adults) on inflatables flying across the water holding on for dear life. 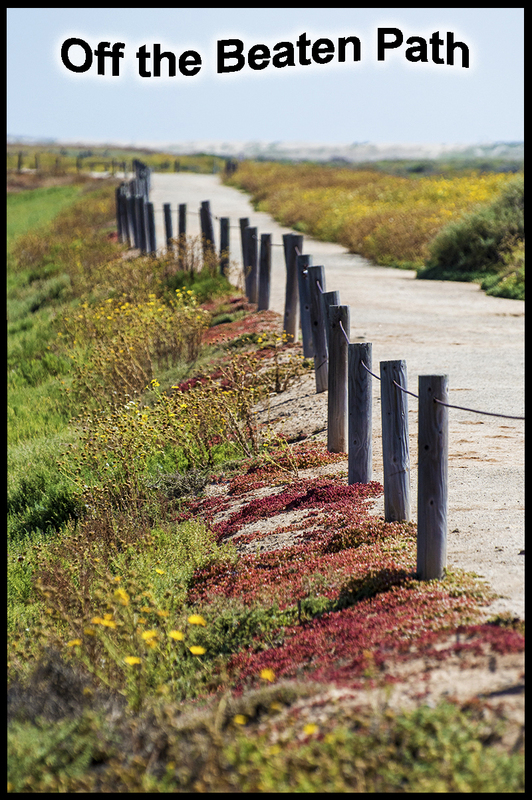 A great one day Staycation at Carlsbad, California.